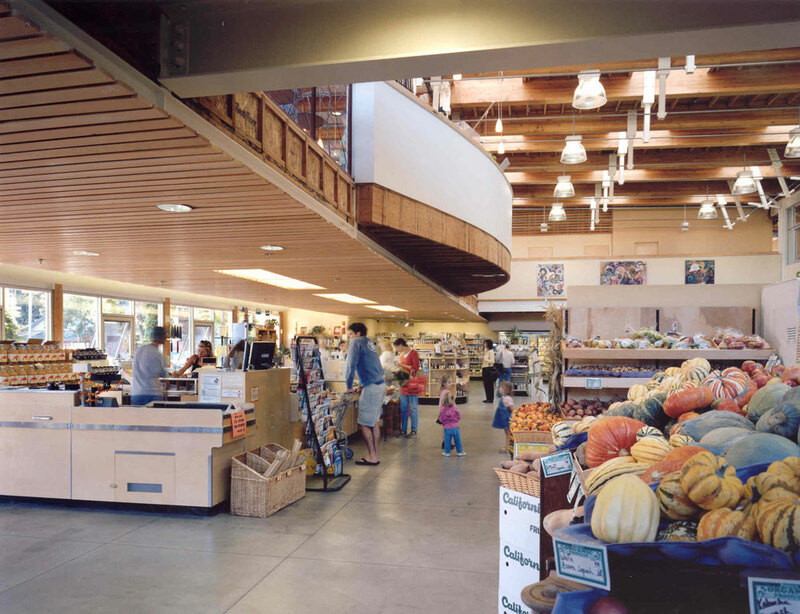 Supporting the mission of this member owned COOP, the market is designed around a central ‘market hall’ where the activities of staff and customer are communal and visible. 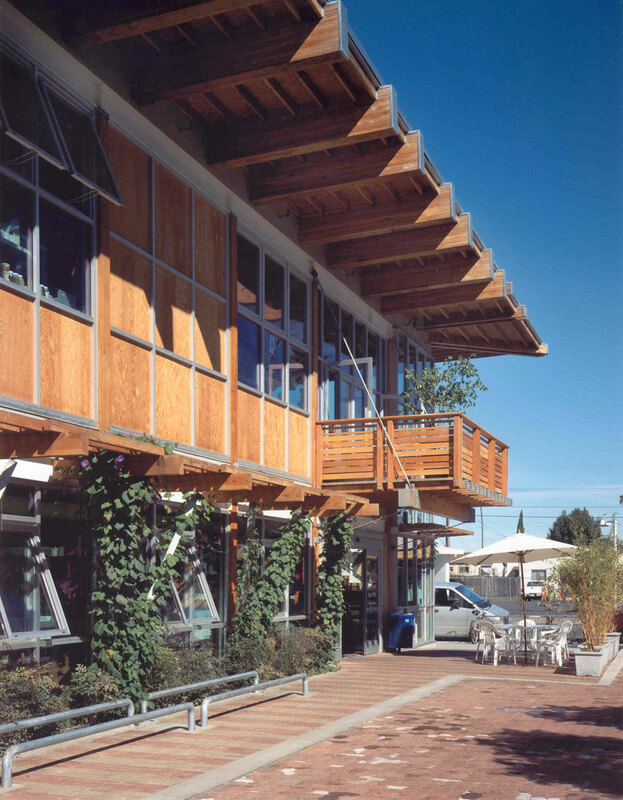 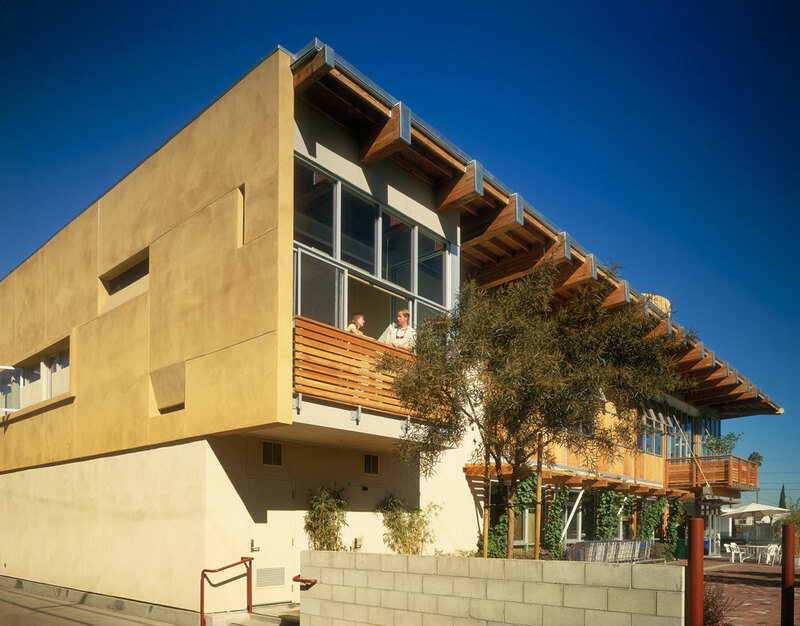 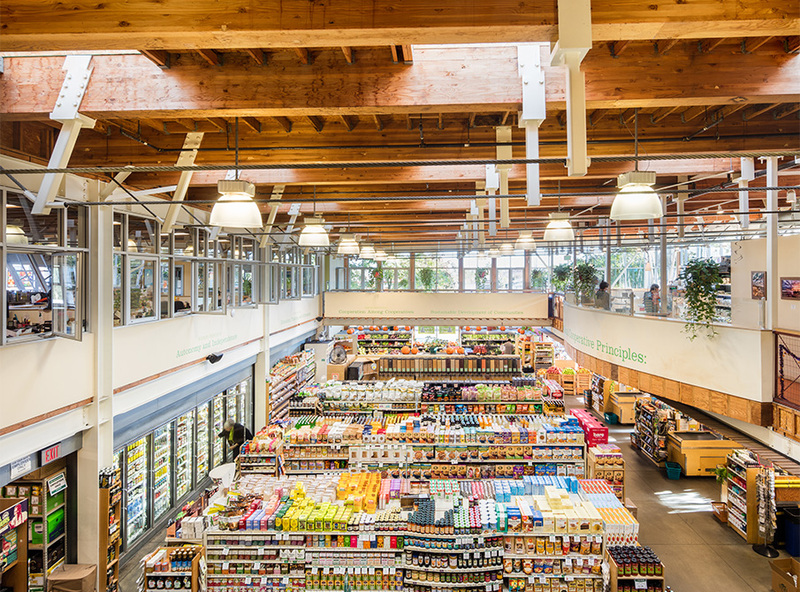 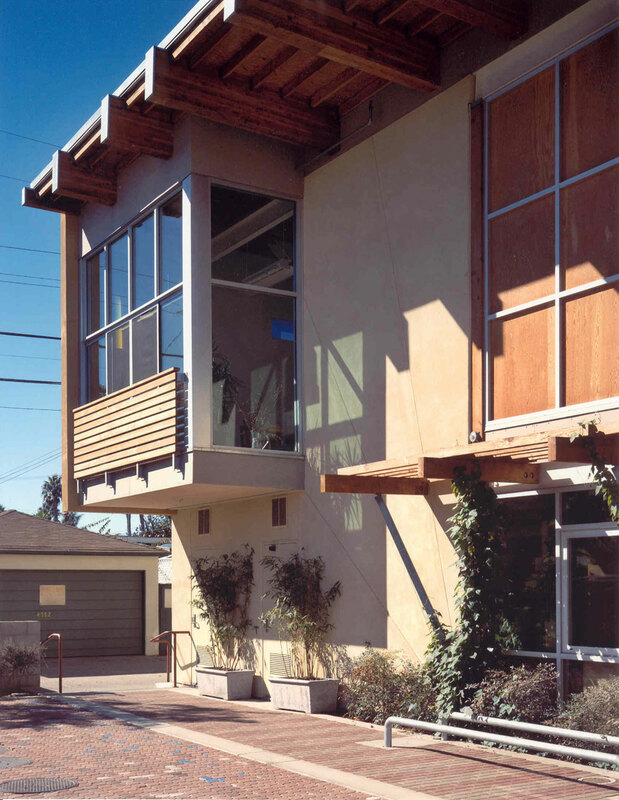 This small neighborhood market is made more efficient by removing columns from the market spaces and supporting the mezzanine from the roof structure above. 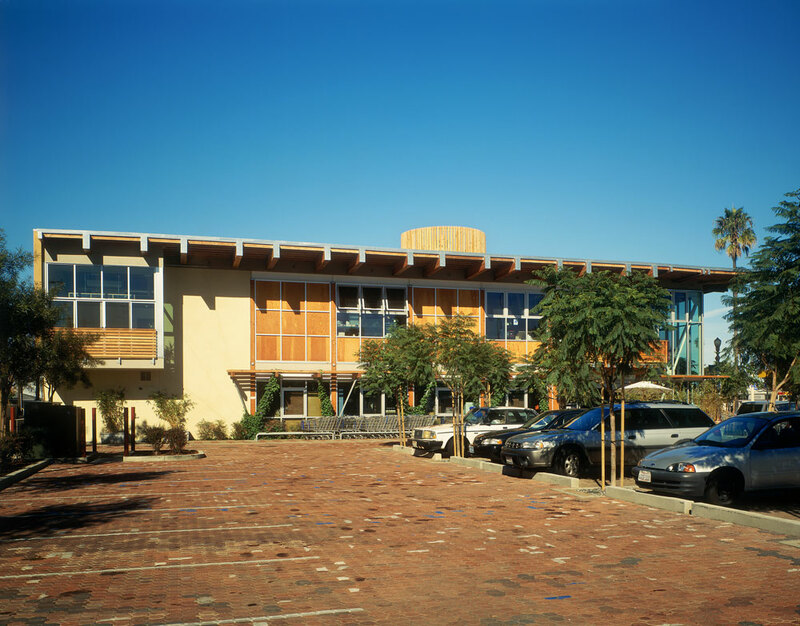 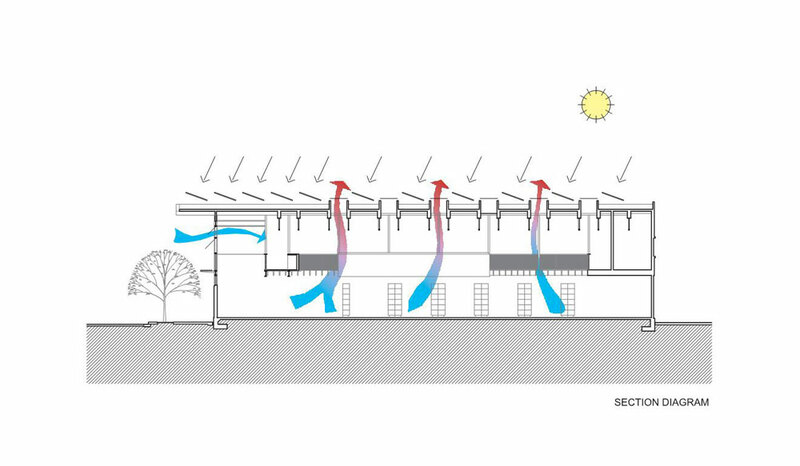 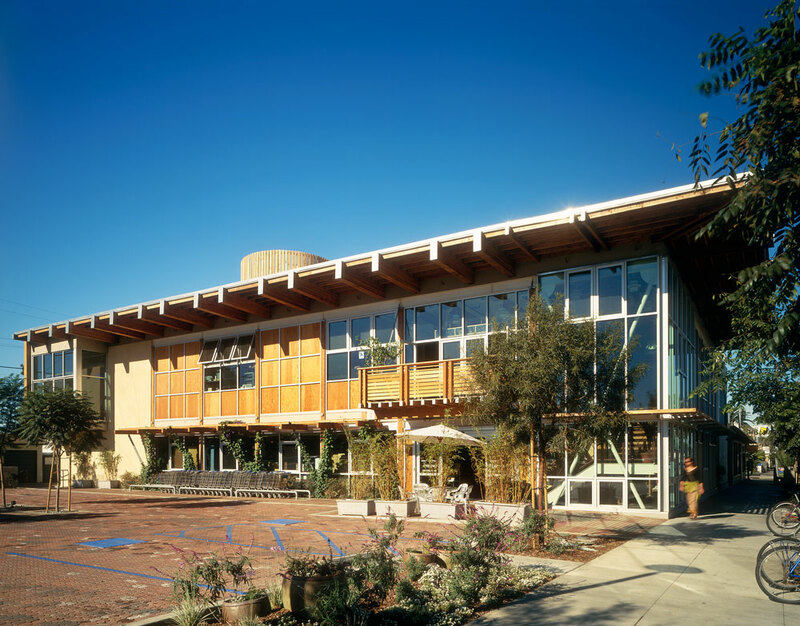 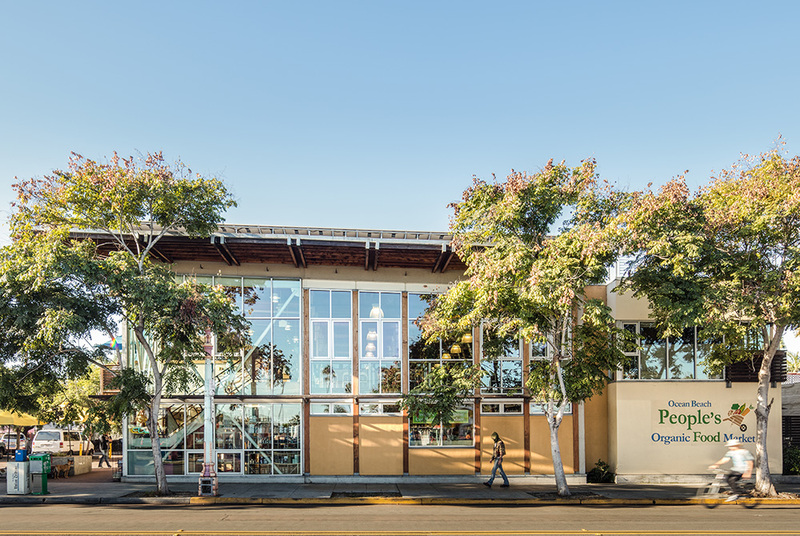 The design of the open market hall allows for natural day lighting and natural ventilation, eliminating the need for air conditioning, and maximizing energy efficiency.